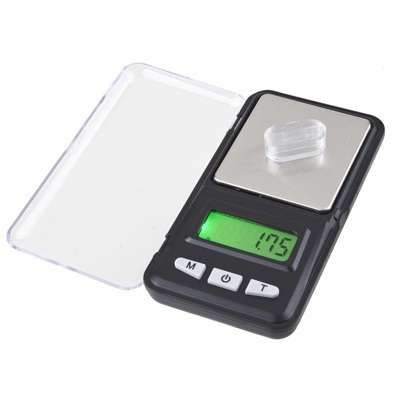 * It has a "tare" feature, which can set the weight to "zero" after putting a pan on the scale. 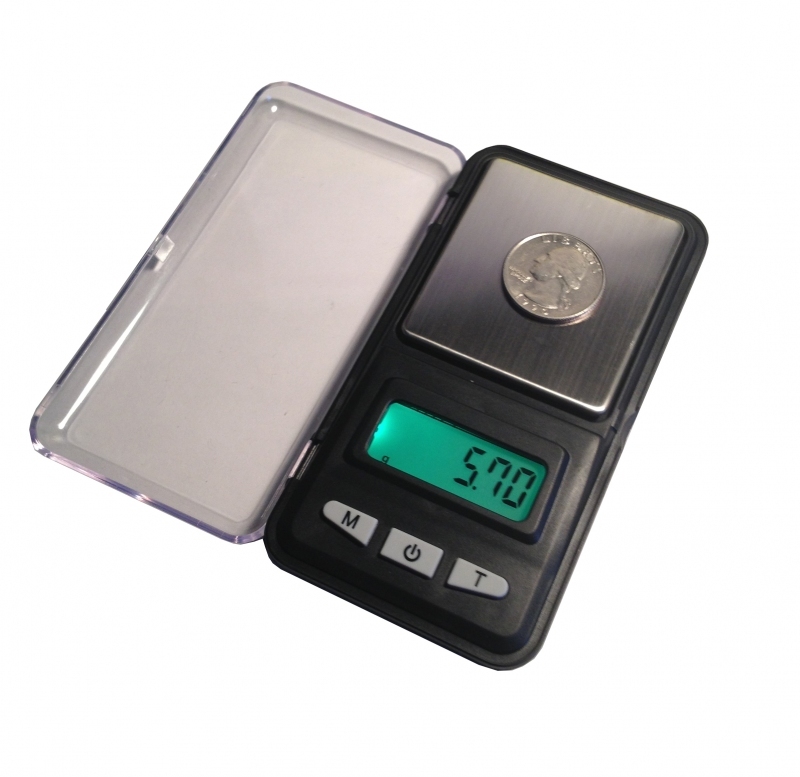 * The flip-open cover protects the stainless steel weighing platform when the scale is not in use. 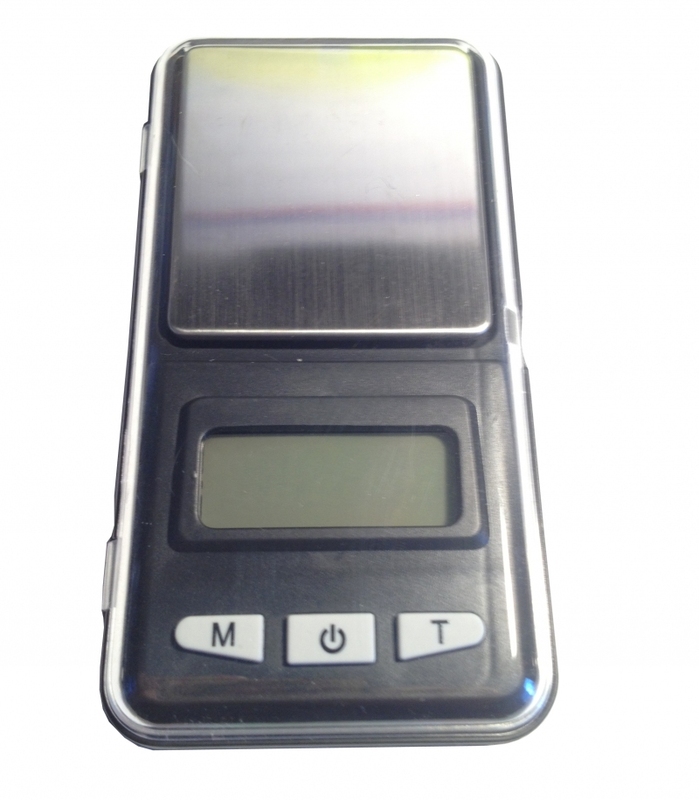 * The bright green LCD display makes it very easy to read in the dark. * Operation Manual is included. * Powder can be weighed accurately，but can not be put on the scale directly! • Units: g, oz, ct, gn(tl). • Automatic power-off: 1 minute. • Overload and Low power indicator. • Demensions： 120 × 62 × 20 mm. * Operation temperature:10-30°C.Avoiding any exposure to extreme heat or cold. * Please don't put any corrosion on the pan and weight any liquid directly. * Keep your scale in a clean environment. Dust, dirt, moisture, vibration and close distance to other electronic equipment can all cause an adverse effect on the reliability and accuracy of your scale. * Don't put object heavier than the capacity of the scale onto the pan. * Avoid shaking,dropping or otherwise shocking the scale. This product was added to our catalog on 09/24/2012.